Want to know a great way to move materials across your facilities? Hint: It’s efficient, safe, reliable, and moves about 100’ per minute – and it won’t be late to work! 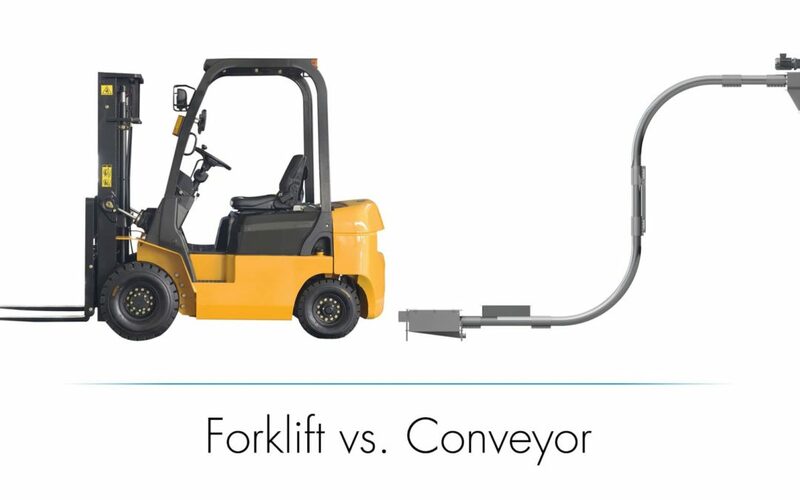 It’s an enclosed cable conveyor moving your materials – instead of a forklift….because too many moving parts can cause things to go out of control. There are at least two main types of systems to move materials: on-floor and overhead. And there are several factors to consider when choosing a system for moving materials, including cost, efficiency, productivity, and worker well being. Despite these problems, most places still use forklifts, even when there are many situations where conveyors are more advantageous. To avoid accidents and human error, a conveyor is the better choice. Conveyors can reliably transport materials safely, and provide better plant ergonomics tor employees. Another benefit of conveyors is installing them off the shop floor, eliminating congestion challenges. Cablevey Conveyors’ cable and disc tubular drag conveyors ensure materials are moved without bumping, battering, stress, or friction – they’re gentle on your materials. Our conveyors can move products in any direction, including multi-directionally, and vertically. And our modular design, combined with customization for your unique application, means fewer parts, higher reliability, and less maintenance, which keeps your downtime to a minimum. To learn more about Cablevey Conveyors, and how they can transform material movement at your facility, visit us online today!